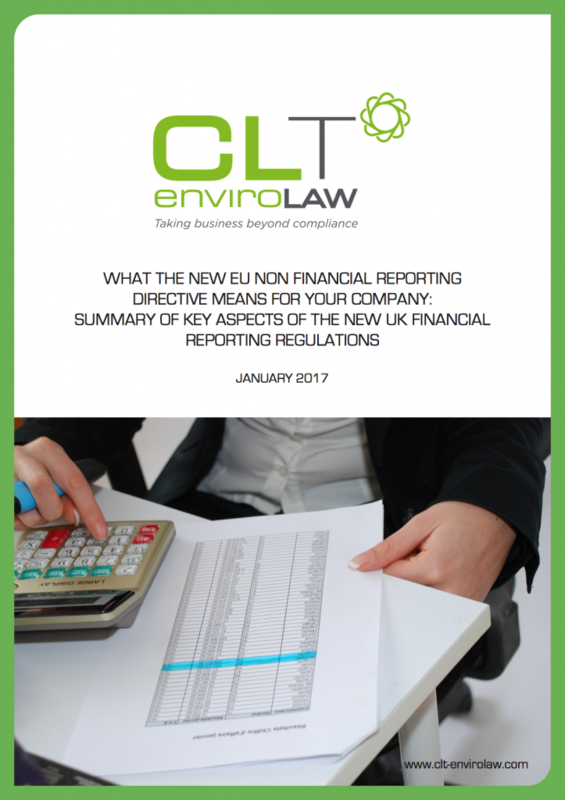 Directive 2014/95/EU (‘NFRD”) sets out rules regarding mandatory disclosures to be included in consolidated non-financial statements by certain large undertakings and groups. The Directive was adopted on 29 September 2014 and came into force on 22 October 2014. Member states had until the 6th of December 2016 to transpose the NFRD. The UK has transposed these regulations.